Most shelter workers have heard of the magic dewormer known as Panacur–it is one of my favorite dewormers–and is a great drug for many reasons. Fenbendazole, the active ingredient in Panacur and Safe-Guard, it is a benzimidazole dewormer which prevents cell division. It is generally considered a safe drug, toxicity only occurring at 100x overdoses and in exotic species. Fenbendazole isn’t systemically absorbed and over 50% leaves the animal in feces. It must be given for at least 3 days to kill parasites, since it needs to halt cell division for a certain duration before it is fatal to the parasite. Fenbendazole is labeled for use in cows, horses, pigs and dogs; but has also been used in cats, sheep, birds, reptiles and fish. It’s labeled to kill roundworms, hookworms, whipworms, and some tapeworms, but it isn’t effective against the most common tapeworms, and therefore shouldn’t be relied on to kill tapes. 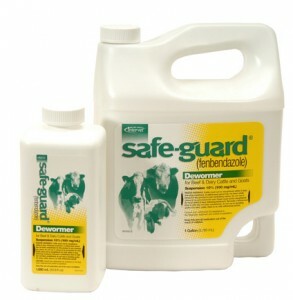 Fenbendazole’s major use in shelters is for killing whipworms, Giardia, and lungworms. Fenbendazole comes as a liquid and as granules, both of which can be kept at room temperature. A major con of fenbendazole is cost. A three day course of liquid Panacur for an adult cat will cost $1, while a single dose of pyrantel (Strongid) will cost $0.05. Fun fact: When treating whipworms (Trichuris vulpis) you may have heard of the rule of 3’s, treat for three days, then repeat a three day course at three weeks and again at three months. This is an easy and commonly recited treatment regime, but did you know that there is actually a scientific reason NOT to treat like this? Whipworms take 3 months to mature from an egg to an adult. If you kill adults at day 1, then three weeks later there will be some immature adults which will have matured, but you’ll still have eggs and larval worms present. Wait until 3 months and then treat again, and don’t bother with the three week treatment. This entry was posted in Uncategorized and tagged anthelmintic, deworm, dewormer, drug, drugs, lungworm, whipworm, worm. Bookmark the permalink. Central New York Shelter Forum is back! Check out the 2018-2019 schedule below. Shelter Medicine Intern 2018 Survey Results! Introducing our 2018 Shelter Medicine Interns!